An incredible percentage of books sold in the United States are sold by Amazon. This online retailer accounts for 74 percent of all ebook purchases in the country. In 2016, Amazon sold 42 percent of all print books in the US. Since Amazon holds the lion’s share of the book market in the United States, not only should your book be available for sale on Amazon, you should also be taking advantage of Amazon’s book marketing tools to leverage your book sales. One of the book marketing tools Amazon offers for authors is Amazon Author Central. Amazon Author Central allows authors to have a personal author page on Amazon. Creating and personalizing your author page on Amazon allows you to increase your visibility and provides potential readers more information about you and your book(s). If you are a published author selling at least one book on Amazon, you can sign up for an author page via Amazon Central. You simply have to register for one. After you have registered for an author page via Amazon Central, make sure you optimize this unique book marketing tool by including the following elements on your page. Upload a current photograph of yourself to your Amazon author page. Make sure that you use a professional author photo that shows your personality. 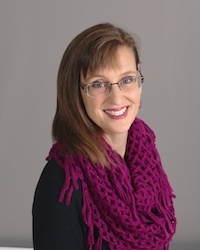 Having a good author photo increases your recognition factor for readers and helps the reader feel a connection to you. Write a biography for your Amazon author page. Your author biography should focus on how you are qualified to write on a certain topic. You can add a few personal tidbits, but no one cares where you went to high school unless it is relevant to a book you penned. Keep your author biography entertaining. Be sure to include the URL for your author website in your biography. A bibliography simply lists all the books an author has penned. Make sure that all of your titles are listed on your Amazon author page. Listing all of your titles on your author page helps introduce readers to your other books, potentially leading to additional book sales. Amazon allows you to import your blog posts to your author page. All you have to do is plug in the RSS feed from your blog. Each blog post that appears has a link to take the reader directly to your actual blog page to read the complete entry. You can upload videos to your Amazon author page. Be sure to upload any book trailers you have made, as well as any videos featuring author interviews for your potential readers to view. Video in short, digestible chunks is a fantastic way to engage readers. Add events you are hosting or appearing at to your Amazon author page. Listing your events on your author page is an additional free place to advertise your upcoming events and appearances. Once you secure an Amazon author page, Amazon will give you a unique URL for it so that you can share this URL on your author website, blog, and social media sites to encourage readers to learn more about your books.